Volunteers are the lifeblood of Arlington Independent Media. Their hours of dedicated work result in high quality community programming year round. 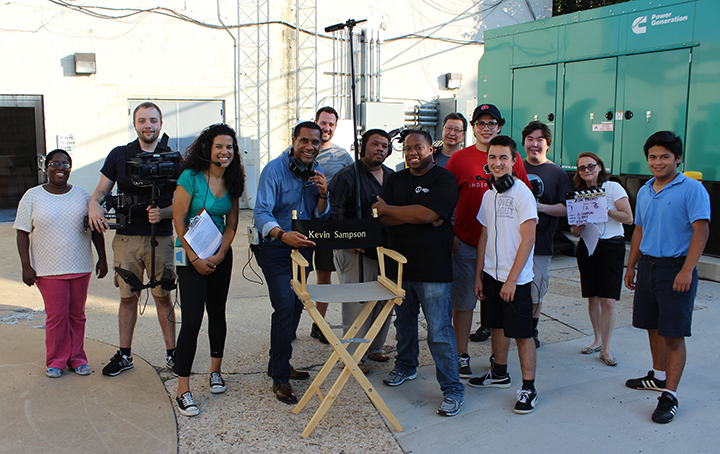 Volunteers work as camera operators, lighting designers, audio technicians, technical directors, editors and other positions on the many programs produced here regularly. Many of our volunteers gain valuable skills that give them an opportunity to learn, grow and excel in their professional lives. Not to mention, volunteering at AIM is fun! We have a variety of different programs to volunteer with, from short films to musical showcases to local talk shows. Volunteering at AIM is a chance to connect with a creative community full of individuals who are passionate about sharing their voice through independent media. Volunteers must be current AIM members, and in some cases must be certified to use AIM equipment. Take a look at how to become a volunteer crew member with us and let's get started!